Last minute Mother's Day scramble? Or just really want to scoff some scones? Whatever your reason, here are 10 excellent afternoon teas in our 'hood. Bring out the cake stand, pronto! It’s indulgent, soothing, better value than lunch or dinner and involves a LOT of cake. 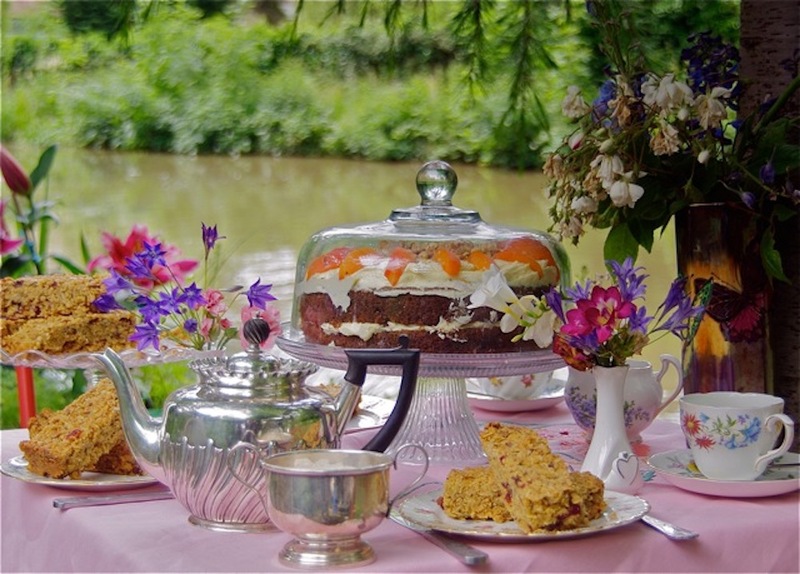 What’s not to like about afternoon tea? 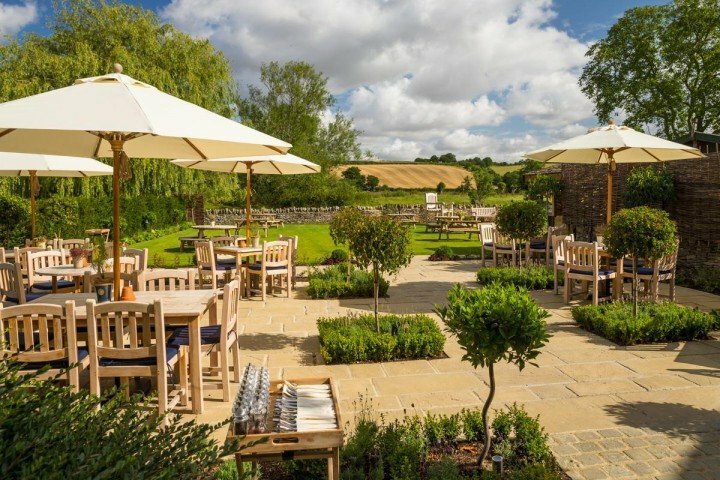 Here are our 10 favourites – many have limited availability for Mothering Sunday (note to self: book early next year) but why not book in for later in the spring? 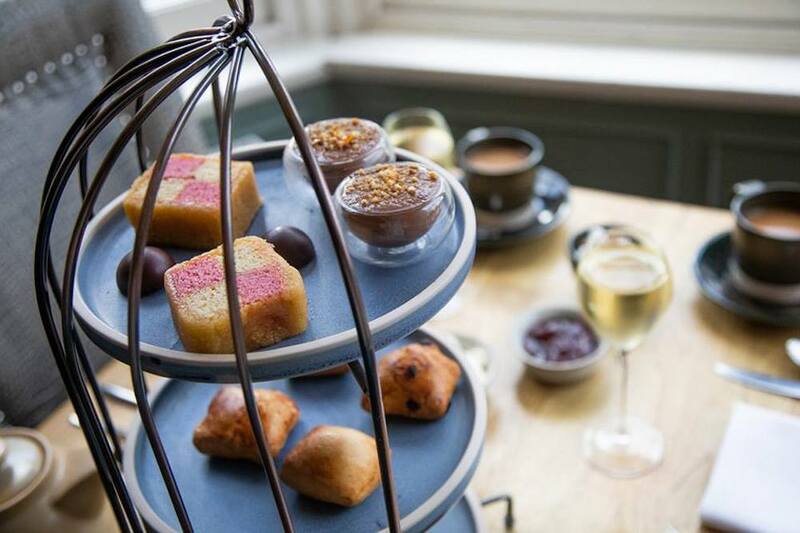 It’s afternoon tea, but with a twist, at this chichi new boutique hotel in Bicester, with a huge list of speciality tea (bye boring Breakfast!) including Moringa Passion Fruit, Coffee Truffle, Bombay Chai and Darjeeling Queen – apparently it’s the Champagne of the tea world. Tea is served 12pm-6pm with prices starting from £10.50 for cream tea, up to the pretty reasonable £19.95 (add £5 for fizz). If you usually just whizz into Pret for a coffee while at Bicester Village, there’s now a whole new level of refreshment indulgence to enjoy. This is the little sister outpost of the gorgeously elegant Wolseley on Piccadilly (where I spent about 90 percent of my working day in ‘meetings’ in a previous life). 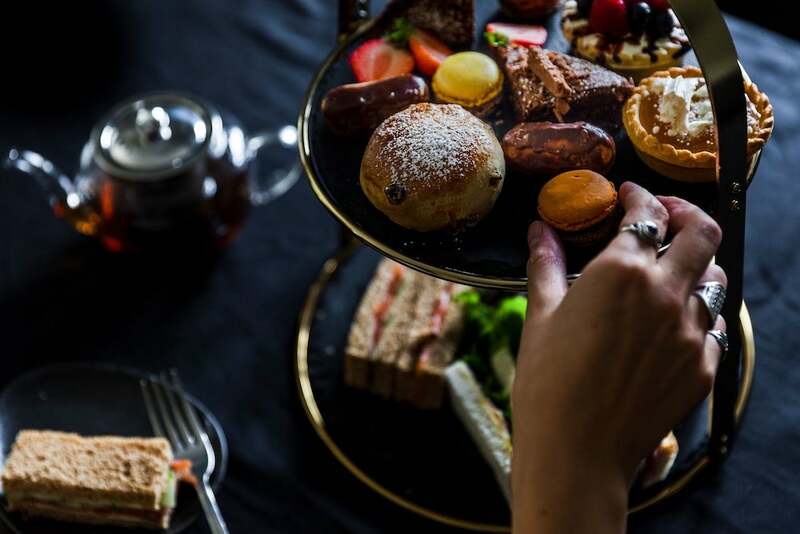 Champagne afternoon tea is decent value at £33.95 and it’s available anytime from 11.30am – 6.30pm so you can definitely fit in some ruinous designer shopping around it. You’ll have to get in quick to have a nose around the 14th century college’s great hall – their first ever pop-up afternoon tea is only available until 6 April (Mon – Sat). Tolkien, Philip Pullman and Sir Roger Bannister are among the alumni who’ve dined here so you’re in rather good company. It costs from £4.50 for a children’s tea up to £25 to one washed down with Prosecco. Exeter College was founded by a chap from Devon – the clue’s in the name – so we have high hopes for the scones. 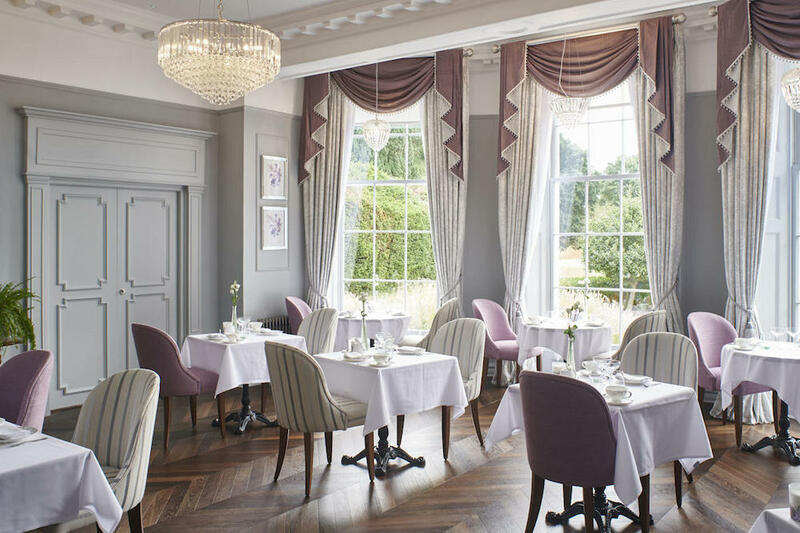 Don’t chuck out the chintz, go revel in it – this elegant tea room has floor to ceiling windows (complete with rather swanky curtains, obvs) with views across the hotel’s 10 acres of grounds. Open daily from 12-6pm, it’s a very reasonable £24 which includes a glass of fizz from an excellent selection – we’ll take the sparkling rosé from Hampshire, thank you very much. 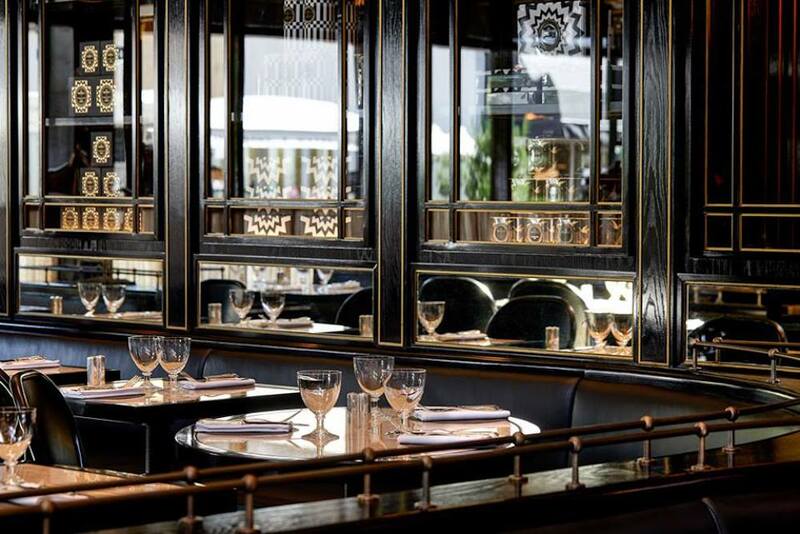 I’ve had afternoon tea here with girlfriends a couple of times and it’s the perfect atmosphere for the occasion – grown-up, glam and indulgent. And even more so if you opt for the new Butterfly Kisses afternoon tea, in partnership with Perrier-Jouët. Fizz, chocolate pots, truffled chicken and 600 origami butterflies suspended from the conservatory ceiling (don’t eat those though) all for £26.50, until Mon 29 Apr. Top tip: ramp up the alcohol levels with an English Spritz cocktail on the side. It involves Earl Grey gin so that’s technically tea, right? 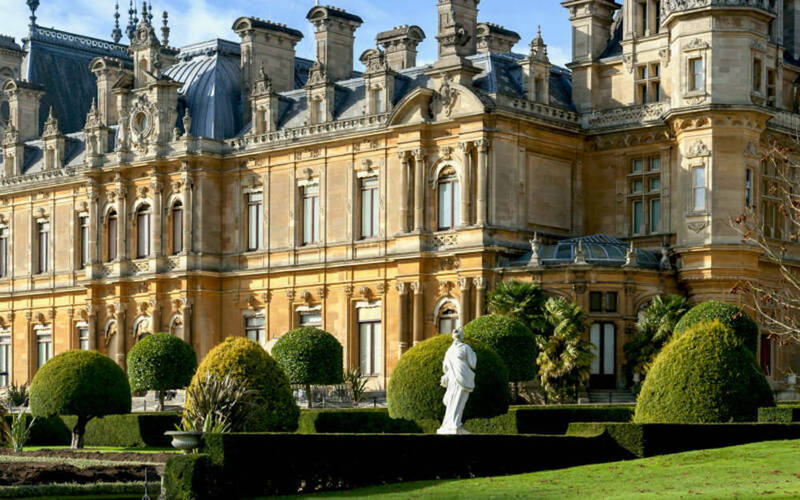 How about combining your scone-scoffing with a wholesome stomp around the historic grounds of Waddesdon Manor? The Manor Restaurant does a tea for £22.50 or £27 if you add in a glass of Nyetimber English fizz (that’ll be a yes, obviously). They’re also hot on catering for all tastes, with veggie, vegan, gluten-free and dairy-free menus all available. 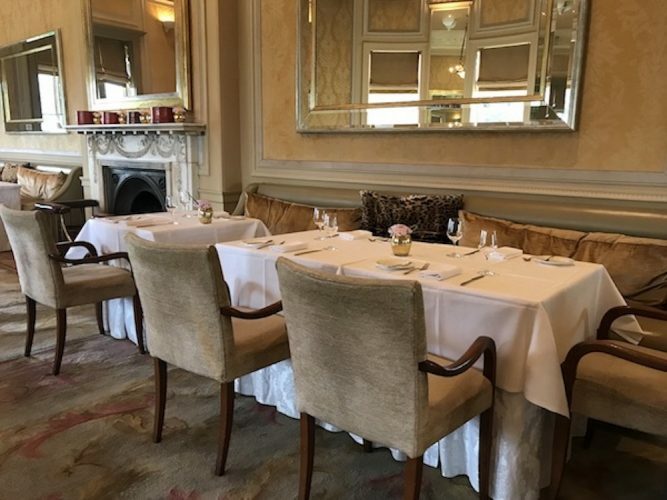 The dining room is fairly formal, with attentive service and starched white tablecloths, so it’s a good treaty one for your mum or mum-in-law. 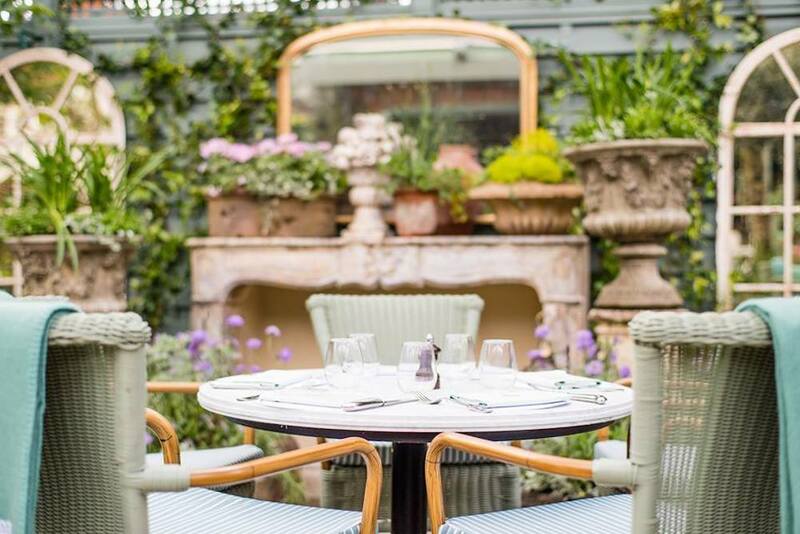 Gastropubs don’t tend to be big on afternoon tea but this Goring hotspot is an exception. 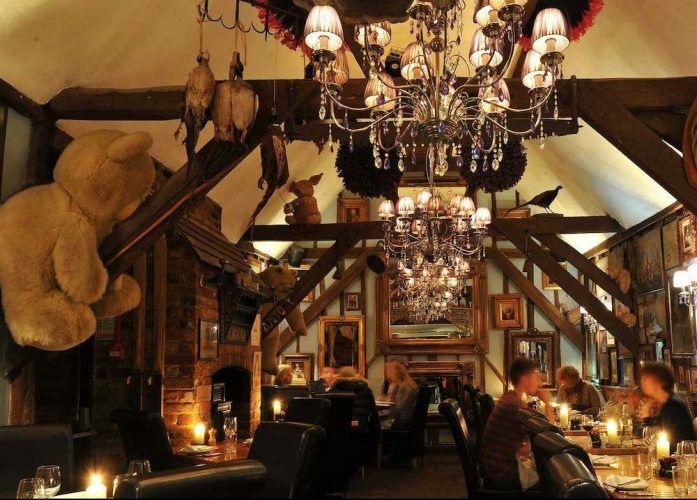 Priced £24.95, there’s an emphasis on top quality ingredients – think homemade bread and locally sourced cheeses. And the cakes alone sound worth the price of entry – I’ll take a massive slab of banana cake with lime cream and walnut, please. 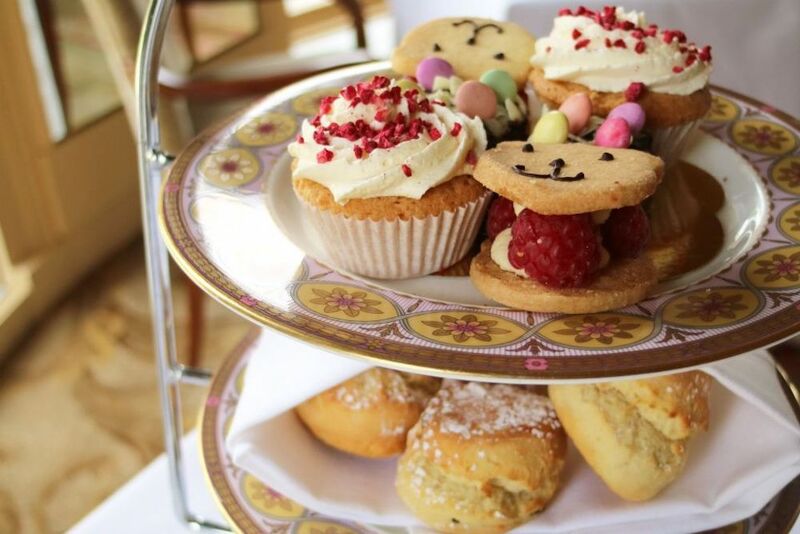 What’s lovely about Stoke Park’s luxe, classic afternoon tea in The Orangery is how well they cater for children – it’s in Condé Nast Traveller’s Top 10 child-friendly retreats, no less. Their Little Stars under-12s tea, with its cute teddy bear biscuits, is a very reasonable £13.50 although I’ll be making a beeline for the chocolate afternoon tea [packs Wet Wipes]. If you want to be a real fancy-pants, this refined 17th century 5-star hotel on Banbury Road is the one for you. It’s served daily until 5pm (6pm on a Sunday), priced from £27 and has a savoury tea among the options. 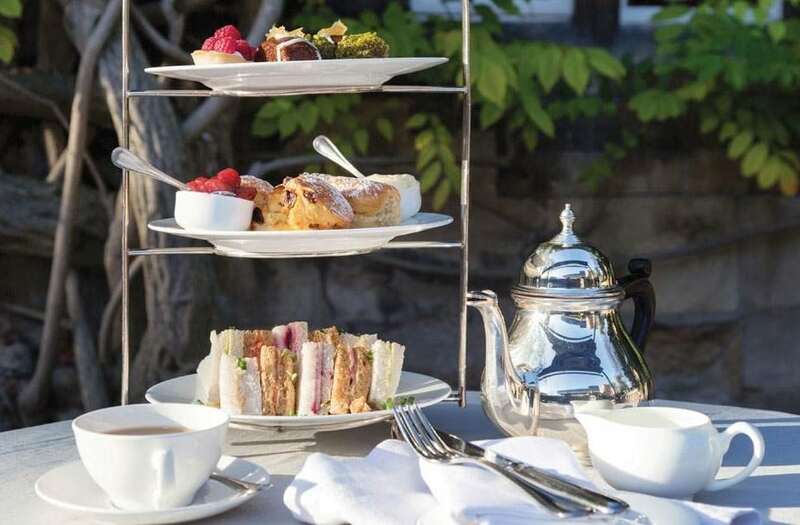 I always like an afternoon tea menu that offers this – I’m a total sugar fiend but some teas are so sickly sweet that even I feel like my teeth are going to immediately fall out. This one includes homemade blue cheese scones. One of my favourite hidden spots and it wasn’t open last summer so I’m thrilled to hear that Jane and her amazing afternoon teas are back, back, back from April this year. It’s an utterly quirky setting, hidden away down a canal towpath so only accessible on foot or via narrowboat. Just turn up for a cream tea but if you want the excellently named Full Jeeves (£20) then you need to pre-book. You should try the celebration afternoon tea at the Buckingham Tea Room. Run by a lovely Spanish lady, lots of savoury items & not a sandwich in sight…….you wouldn’t need to eat again that day. Scrummy. Why not go straight for the sweet treat and head for The Jolly Cricketers in Seer Green and have a Cherry Pie with clotted cream ice-cream with a cup of tea. on the side or something stronger. Well worth a visit to see exactly why Seer Green is known as ‘The Cherry Pie’ village! Absolute must at Buckingham Tea Room….I had my birthday afternoon tea party in the evening! Such friendly, professional staff and chefs producing delicious quirky delicacies. Highly recommend for a unique eating experience…..